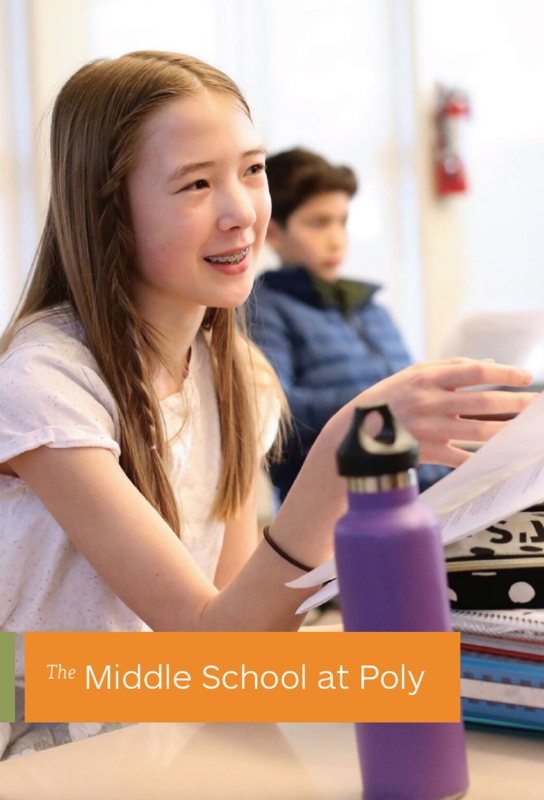 Poly’s Middle School offers a safe, supportive, and challenging place to make the transition from childhood to adolescence. 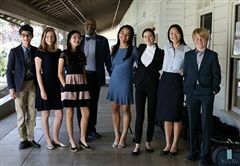 At a time when adult mentors become increasingly important, Poly students find the guidance of caring teachers who appreciate this age group. In the company of motivated peers, Poly students learn to give voice to their opinions, questions, and personal passions. Our advanced curriculum inspires students to expand their academic skills and independence. 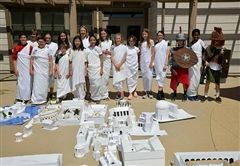 Through a wide array of extracurricular experiences, they explore the arts, community outreach, outdoor education, and more. Students leave the Middle School fully prepared as ambitious, creative, self-motivated learners. View the Middle School viewbook!